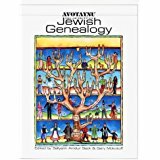 Listing by states and countries of genealogical societies, libraries, research centers, and religious organizations. Detailed summary of North American record repositories and their holdings. New York Family History Research Guide and Gazetteer. Szucs, Loretto Dennis and Matthew Wright. Finding Answers in U.S. Census Records.